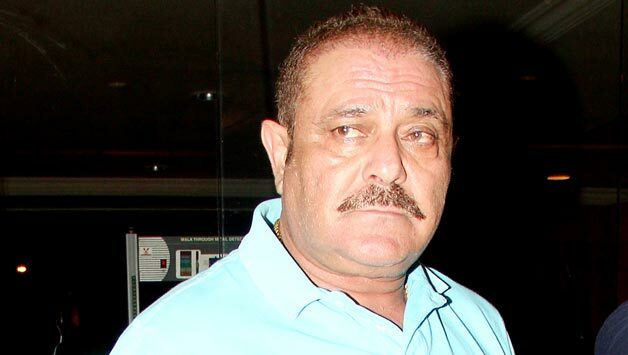 Yograj Singh, father of Indian cricketer Yuvraj Singh has come out bashing Dhoni responsible for his son’s exclusion from the World Cup team. It is the second time that he has passed such a controversial statement about Dhoni. This time he has cursed Dhoni to be pennyless and compared him to mythological villain Ravana. Jithu Jose Parackal writes an open letter to Yograj Singh on why he should keep his emotions under check and the hazards of passing statements like these. To be honest with you sir, I never knew who Yograj Singh was until your son Yuvraj Singh played cricket for India. Not just me, it is the same story with other cricket fans in India. It was just a month ago that I learned that you have represented India in a lone Test match and 6 one day internationals, frankly you became known due to your son – Yuvraj Singh. Yuvraj Singh is one of the cleanest strikers I have ever seen, and proudly I can say he has a follower in me. Now then, he may have won us the World Cup in 2011 with his scintillating performance but the fact that he was ignored for the World Cup disappoints me. But more disappointment as you were running your mouth over the exclusion of your son and you held Dhoni responsible for it. I understand your concerns, your love for your son and how depressed one can be but this is not the way to react against it. I am sure that Yuvraj Singh doesn’t want it to go this way, because he is not known for his grumbling act but for his perseverance and the never give up attitude. May I ask you sir, something ? You said Dhoni will be penniless, he will beg for what he has done to Yuvraj Singh. But don’t you think sir you are being a bit harsh to our wonderful limited overs captain ? Only when you put yourself in the shoes of Dhoni you will understand his good deeds. While our World Cup preparations were going on, there was this happy news on him becoming a father. He could have gone for a day or two and come back. But he didn’t want to affect their preparations for the World Cup. He stayed back, waited for our World Cup to get over. If that is not enough I take back you to 4 years ago, when Yuvraj Singh was having a dreadful form and his fitness was not upto the mark as well. Dhoni insisted on Yuvraj Singh to be picked in the World Cup squad and made a surety that he will be solely responsible if it backfired. He went on to be ‘Man of the Tournament’. The Yuvraj Singh of late has never been pleasing enough even to the best of his fans, and he was rightfully left out and chance given to more deserving Ravindra Jadeja and Stuart Binny. Sir, with utmost respect to you I request you to not make such public statement. Yuvraj Singh is no handicapped man, he is a lion who doesn’t need any motivation to play for India. Yuvraj Singh is someone who defeated cancer and came back to entertain the fans. If all things go well, he will be back amongst his best form and back in the Indian team. Remember that when you make controversial statements like these, you are turning on the suicide button for Yuvraj. Your son has lots of cricket left in him, and he knows it very well than you and me. Think twice before you invite controversy !